Planning to stay at Disney World 2020? THINKING ABOUT THE DISNEY DINING PLAN? Looking for Florida holidays 2020? It’s not too early to start planning your 2020 Florida holidays. Peak dates in Easter, summer and Christmas sell out quickly. 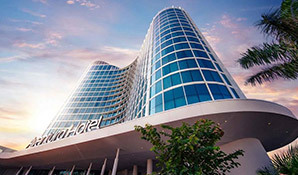 Advance bookers snap up the best flights and first choice of accommodation. Act now and get to the front of the queue. Our Orlando flights are booked with the major airlines – Virgin, British Airways or United. Leave from Heathrow, Gatwick, Manchester, Glasgow or Edinburgh. Connecting flights from your local airport can also be arranged: Aberdeen, Newquay, Exeter, Isle of Man, Belfast, Jersey. 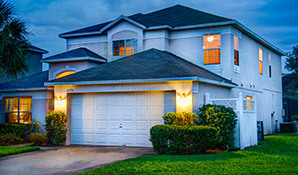 We can book a wide range of Florida holiday accommodation – good-quality villas, townhouses, apartments and hotels. 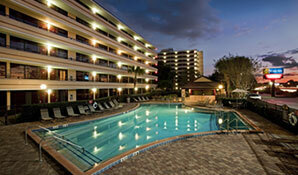 Our Florida holidays also include fully-insured car or van hire. We have 2020 Florida holidays for every season – browse the offers on this page for recommendations. If you’d like something different, complete our online enquiry form for a personalised quote. Or call us on 01934 319 851 to speak to a Florida expert. Our 2020 Florida holidays can be booked in advance with a deposit of £100 per person. Balances are due 90 days before departure, giving you plenty of time to save. All of our holidays are ABTA and ATOL protected. After a busy festive season, why not recharge your batteries with a January 2020 Florida holiday? The mild winter sun is a welcome change from the cold UK weather. Low-season Orlando flights are great value and there’s plenty of quality accommodation to pick from. For the best value February 2020 Florida holidays, avoid the half-term dates. Fly Virgin, BA or United. Stay in a villa, townhouse or hotel. We have a range of options – get in touch for a tailormade quote. Can you get away before the Easter school holidays? 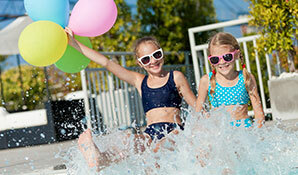 March is ideal – enjoy the fantastic Easter weather without paying a premium. 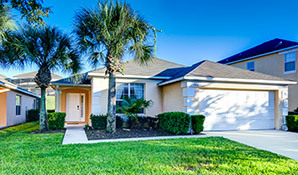 Our March 2020 Florida holiday includes Virgin flights direct to Orlando, a fortnight in a luxury Emerald Island villa and fully-insured vehicle hire. If you’re restricted to school holiday dates, don't worry – there are plenty of great offers for early bookers. Our April 2020 Florida holiday includes Virgin flights via Atlanta. 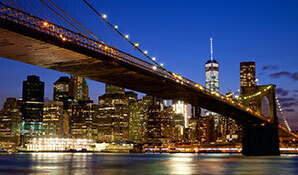 The longer schedule adds a couple of hours to the journey but offers a substantial discount. Stay for two weeks at Westhaven, drive a fully-insured vehicle. For more options, why not take a look at our dedicated Easter 2020 Florida holidays page? Better yet, complete an enquiry form or call us on 01934 319 851. 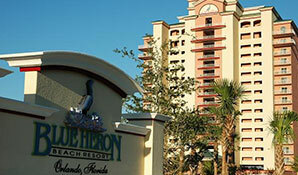 We can put together any 2020 Florida holiday package. May and June are fantastic months to visit Florida. The airlines start their summer schedule but demand is low – resulting in great value Orlando flights. You’ll have a wide choice of accommodation at this time of year. If you’re flying from Glasgow or Belfast and need to depart late June, book early for the best value. Flights from Manchester are a great option if you don’t mind an additional journey. For the best value in July, leave before the school summer holidays. Depart on or before 16th July for a great price on our July 2020 Florida holiday. 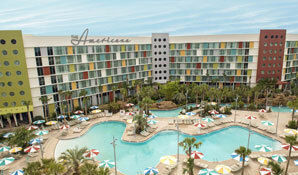 Fly Virgin direct to Orlando, enjoy a fortnight at Universal’s Cabana Bay Beach Resort, drive a fully-insured vehicle. Cabana Bay is great for families – the retro 50s-style hotel boasts two swimming pools, a water slide and even a bowling alley! An August 2020 Florida holiday needn’t cost the earth. Leave on or after 22nd of August for the best value. Fly Virgin, stay for two weeks in a Terra Verde townhouse, drive a fully-insured vehicle. 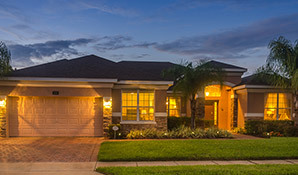 Terra Verde is a beautiful gated community in Kissimmee just 7 miles from Disney – ideal for a family Florida holiday. Florida’s theme parks run special Halloween events throughout October so don’t worry if you need to return before the 31st. Avoid the half-term school holidays for best value. If you need to fly on peak dates, book early – advance bookers will grab the best seats and accommodation. December is a wonderful time for a family Florida holiday. Open your presents by the pool, enjoy the magic of Disney, watch the New Year fireworks. Experience the holiday of a lifetime the kids will never forget. Get in touch for a tailormade quote or visit this page again soon for our recommendations. The offers on this page are all great value, but you're not restricted to our ideas. 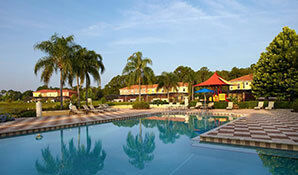 We can put together any 2020 Florida holiday package. Complete our online enquiry form or call us on 01934 319 851. Book your 2020 Florida holidays with a deposit of just £100 per person. ATOL and ABTA protected.